Matt Christopher defeated Mike Burkie after the 3rd round by judges’ decision. 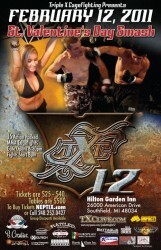 Jerry Peace defeated Anthony Fleming at 2:02 of the 3rd round by TKO. James Fawks defeated Mike Smiley at 18 seconds of the 1st round by Knock Out. Joe Petahtegoose submitted Josh Raley at 2:41 in the 2nd round. Jason Vanheck defeated Dan Winston after the 3rd round by split decision. James Newport defeated Julian Eberhart at 1:30 in the 2nd round by TKO. Andy Nemeckay submitted Drew Hellner at 53 seconds in the 3rd round. Manny Villareal defeated Anthony Bain after the 3rd round by decision. Eric Ramirez submitted Mikey Galanos at 2:03 in the 3rd round. Tommy Bagnasco submitted Armando Pardoe at 2:00 in the 2nd round. Chris Franks defeated James nfl jerseys cheap Carrow at 1:33 in the 2nd round by knock out. Andrew Ventimiglia vs. Genaro Dejesus resulted in a No Contest due to a finger in the eye. 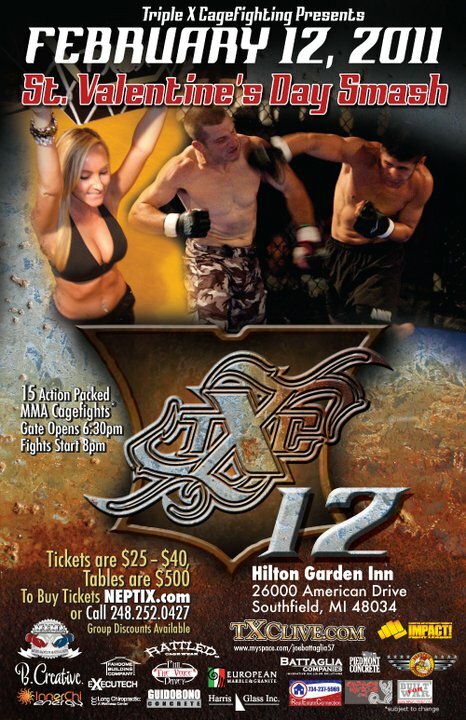 Tagged Andrew Ventimiglia, Andy Nemeckay, Chris Franks, Eric Ramirez, James Fawkes, James Newport, Jason Vancheck, Jerry Peace, Joe Battaglia, Joe Petahtegoose, Manny Villareal, Matt Christopher, Tommy Bagnasco, Triple X Cagefighting, TXC. Bookmark the permalink. Only 1 Fight ended in the 1st Round. That’s Matchmakeing!!!!! That is AWESOME. That practically never happens! Even that one fight had a highlight reel quality knock out that brought the crowd to their feet!